Yes, healthy hazelnut trees will bear twenty years or more. Self-fertile but pollination is improved by growing in groups with two or more cultivars present. Begins to bear after five years. 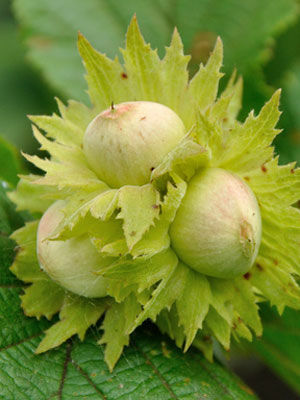 Healthy hazelnut trees will bear twenty years or more. Harvest when the husks begin to turn yellow in early autumn. The nuts are much-loved by birds and rodents.